Contact us at Flesherton Concrete Products to order your concrete and aggregate supply in Collingwood, and all of Simcoe and Grey County area. Are you looking for high-quality concrete, but you haven’t been able to find what you need? Do you require specific aggregate products for a construction project, and you need to make sure you have enough? 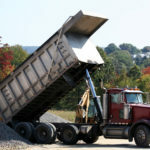 At Flesherton Concrete Products, we can assist you with your project of any scope and size by providing the aggregate and concrete supplies you need. We serve residential, commercial, industrial and communal customers by supplying stone, sand, gravel, concrete, and various other aggregates for a variety of applications. Contact us today to discuss your requirements and to schedule a delivery in the Collingwood, Ontario area. We look forward to working with you! Flesherton Concrete Products is committed to excellence in serving all customers, including people with disabilities. Customers who wish to provide feedback on the way we provide goods and services to people with disabilities can contact us verbally or via e-mail, mail, or phone.